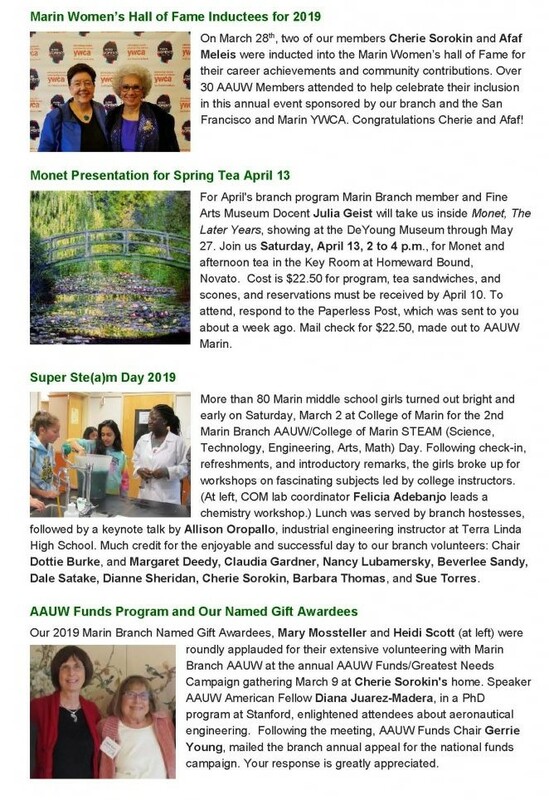 AAUW: A vibrant organization at work for women and girls. In the U.S. In Marin. door to fun and friendship and more. advocacy for women’s issues and more.